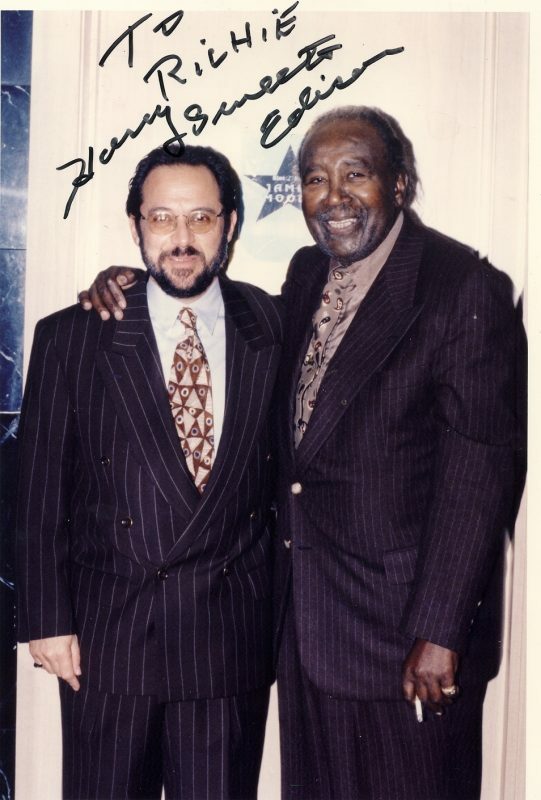 Richard OKon very recently retired from his second stint as Floor Manager at the Blue Note in New York City, where he worked for altogether eight years. He often manned the door, meeting and greeting clientele from all over the world, and emphasizes that it was always important to him to welcome visitors in a few words of their own language. In addition, he was at the Iridium in midtown twice, at Birdland when it first opened its doors at its present location, and sundry other venues. He started his career in the service of jazz as a roadie for Larry Coryell in the mid-70s. Here is his story. I was born and raised in New York and have, when I think about it, listened to jazz music since I was four or five years old. My older sister had a big collection of 78s and she particularly liked Stan Kenton. I’d stick my fingers in my ears when she played his records-Kenton was so brassy to a five-year-old. But the music sunk in. By the time I was seven, I’d seen the Benny Goodman Story; but seeing and hearing Gene Krupa is what really turned my world around. I wanted to be a drummer. That was it. Drum lessons in elementary school were 25 cents each. I played with a pad and sticks. 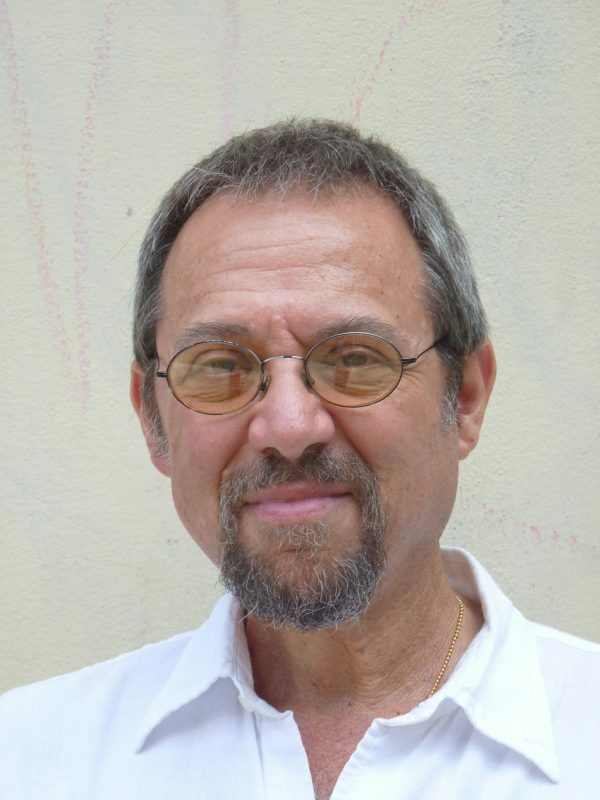 I even remember my first teacher-Ben Halpern, a great teacher who I stayed with for many years. 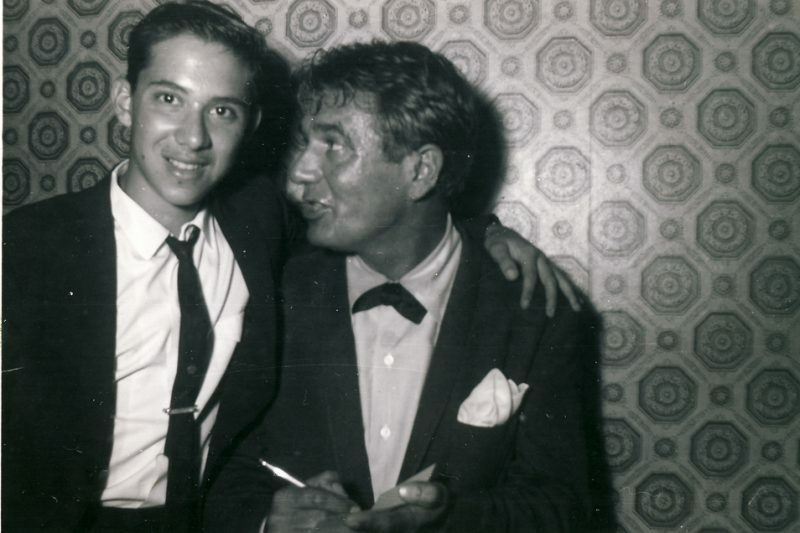 In the summer of 1962, when I was 17, I participated in the Stan Kenton Clinics, where I met other musicians who I would connect with again years later: Don Grolnick and Randy Brecker among them. This was a real highlight of my life up to that point. I spent one week at Michigan State and two weeks in Indiana University at the clinics. At the Indiana one, I was playing with the big band one day and someone came in and asked me if I would take over the drum chair for the sextet-their drummer had flaked out on them. 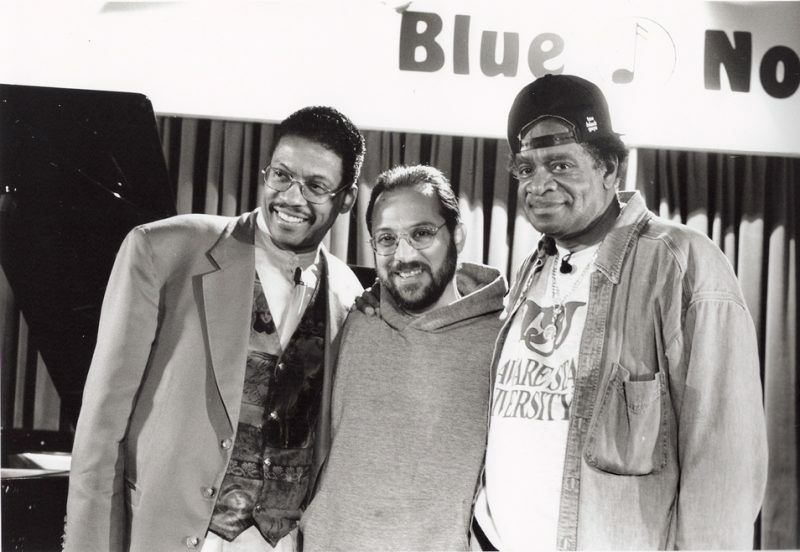 Donald Byrd was our instructor! I could not believe it. One of my first true jazz records was Art Blakey and the Jazz Messengers with Doug Watkins, Donald Byrd, Hank Mobley and Horace Silver. My brother had brought it home from Europe when he was in the navy. He brought a big hi fi home on the ship and two records; that was one and the other was J.J. Johnson and Kai Winding, Trombones for Two. I played along with that Art Blakey record at home all the time and suddenly one of the great musicians from the record, Donald Byrd, was my instructor in summer camp. It was like a miracle. Donald Byrd was cool. I remember we did a concert, two tunes: “Summertime” and “Oleo. “It was me, Randy, and Don, I forget the name of the bass player, Jeff Josephs on trombone and a young tenor player, Bob Carducci. He played soprano on “Summertime” and it was sort of the way Trane did it. Anyway, Randy and I stayed in touch after that. I’d try and see him whenever he’d play in New York. Donald Byrd and I stayed close too. He lived in the Bronx on Teasdale Avenue not far from me, before he moved to the Upper West Side. He used to take me places; he had a big Jaguar, sometimes he’d pick me up at my gigs in the Bronx, put the drums in the car and drive me home. We’d hang out. It was great. I went over to his place one day and Herbie Hancock came out of the back room. He had just moved to New York and joined Miles’ band. That’s how I was able to meet Herbie Hancock. So through Herbie I got to meet Tony Williams, who was living with Miles on 77th Street. He agreed to give me a lesson. I knocked on the door and Miles Davis answered the door! I was flabbergasted. “Yeah,” he said. “Uh, I’m here to see Tony,” I said. He just pointed upstairs. Tony was to me the most influential, greatest jazz drummer alive. Tony, like Gene Krupa and Max, and a few other drummers, were total innovators. They were true innovators of that instrument. And I got a lesson with Tony Williams. I went on to University of Miami-partly just to get out of New York-in the music program where Will Lee’s father, Dr. Lee, became the dean. He was really wonderful to me and that was to be a special relationship through school-he convinced me to see it through when I started to burn out–and that carried over into later years. But at some point after I got out of college I realized that I just wasn’t going to be the kind of drummer I wanted to be-I wasn’t going to be Tony Williams or Art Blakey-and I gave up playing music. I remember reading an article that made me question where I was going with it-and I knew I didn’t want to be in my 40s doing bar mitzvahs and weddings. Music meant too much to me to just do that. One great hang was when I met Michael Brecker. I’d gone to hear Randy play with the Clark Terry Big Band down at the Half Note. Michael had come up from Indiana where he was still a student, so we hung out there at the bar and after Randy’s gig we went across the street to a club called Pookie’s Pub to hear Elvin with, I believe, Steve Grossman and Dave Liebman. That must have been 1968. We met again a few years later at Slugs in the East Village. I’d come down from the Bronx and in they walked, with Don Grolnick and Will Lee, who had just joined Dreams. Of course, I knew Will’s father, Dr. Lee, from the University of Miami, and Don from the summer workshops. I knocked around some and then in 1974 I reconnected with an old fraternity brother who was living in New York and had gotten into music management. Through him and his partner I met the booking agent for Larry Coryell. I was 29 years old when I became a roadie for Larry; I had some wonderful and some bizarre experiences being a roadie, setting up the equipment and that kind of thing. I worked with Larry as road manager, then tour manager, for about two years, and we are still friends to this day. That included time with Eleventh House when Alphonse Mouzon, Danny Trifan, Mike Mandel and Mike Lawrence worked with him. Then Mike Mandel was in the band in one metamorphosis with John Lee and Gerry Brown. When he split they didn’t get another keyboard player, instead Terumasa Hino came in-I guess John and Gerry knew him from Europe. So I was involved with that and also toured with Larry when he did concerts solo and duo with Steve Khan. What a great guy Steve is! The last of his bookings that I was involved with, in the summer of ’76, I went with Larry to Europe for a solo tour and he was joined by his band for a big jazz-fusion-rock festival outside of Marseille. High energy-a great event. We went on right after Joe Cocker and Stuff. It was terrific. When I got back, I went to work for Michael Lang who was managing Joe Cocker and the New York Band Stuff with Eric Gale, Cornell Dupree, Richard Tee, Gordon Edwards, Steve Gadd and Chris Parker. I stayed with Michael doing dates and coordinating recordings with STUFF and Joe Cocker into 1979. I was living on Carmine Street in an apartment I’d gotten from Don Grolnick and where the original Brecker Brothers Band formed and did some rehearsals. It was around the corner from Seventh Avenue South, the club that Michael and Randy Brecker owned, which basically became my second home from the day it opened. People knew that if they called me at home and got no answer, they could reach me there. It was quite a place-Bill Cherry, who you interviewed too, was the downstairs bartender, and I liked him a lot. I used to see Will Lee , Hiram Bullock, and a lot of great musicians of all stripes playing and hanging there. In ’79 I formed my own management company and was approached by Terumasa Hino to coordinate recordings and tour manage groups he was taking to Japan. We did five tours in two and a half years taking musicians like Dave Liebman, John Scofield, Don Alias, John Tropea, Chuck Rainey, Anthony Jackson, Leon Pendarvis, Harry Whitaker, Kenny Kirkland, Lenny White, Richie Morales, Dom Um Romao, Manolo Badrena, Janice Pendarvis and others. What an amazing experience it was working and hanging with these guys. After that I worked with Joe Beck, Eumir Deodato, Claude Bolling, Japanese guitarist Kazumi Watanabe and pianist Yosuke Yamashita. Through Victor O’Gilvie, who managed Chico Freeman and some other musicians and booked a lot of State Department and other tours, I got the chance to go to London and Paris with Sphere: Charlie Rouse, Ben Riley, Buster Williams and Kenny Barron. I spent two weeks with them at Ronnie Scott’s in London; it was wonderful getting to know them. There wasn’t much of a budget so I crashed with a friend. Then we went to Paris for a few days at New Morning. The band travelled on to Scandinavia after New Morning, but there wasn’t enough money for me to go with them. Victor had a friend in Paris who wasn’t using his apartment, so I was happy to stay behind at this apartment for a few days in Paris. I walked all over, hung out with a Japanese silk screener whose work I collect-he took me to dinner-it was a memorable time. In 1985 I also got involved with the restaurant business, which became my main employment. I worked in restaurants until 92, when I landed at the Blue Note-the first time. It took a few weeks after the interview before they hired me; at first I was turned down. But in the end they did hire me as floor manager and I fell in love with the business. I started in the middle of January, Dizzy Gillespie Month-Dizzy’s Diamond Jubilee. Four different Dizzy Gillespie bands over four weeks. My first week was his United Nation Orchestra with Paquito and Ignacio Berroa; I got to meet those guys as well as Danilo Perez and David Sanchez for the first time. That music was amazing. The last two weeks were “To Bird with Love” and “To Diz with Love.” It was so much fun and I loved meeting all those great musicians. At the Blue Note, I got to speak to people. Besides being around the music and the musicians, I truly enjoyed dealing with the people. It was great meeting people from all over the world and talking with them. I sometimes worked outside the club, at the door. That’s where you meet and greet. The Blue Note was a pioneer in developing variable music charges. Because the owner was friends with Ray Brown, it became possible to book Carmen McCrea, Sarah Vaughan, the Modern Jazz Quartet, Oscar Peterson-great concert artists who hadn’t played a club in years. But stars at that level do not play for the same money as less celebrated artists. You have to pay a superstar like Sarah Vaughan a lot of money, for example. And to pay her a lot, you have to charge more. Some people didn’t understand. They saw that at the other clubs, the cover was maybe $15.00 with a two-drink minimum. Sure. When I started going out, I’d go to the Village Gate to see Thelonious Monk, it was maybe $3.50 to get in with a one-drink minimum. All the jazz clubs-the Five Spot, the Half Note, Birdland-had that level of cover charge in those days. The musicians didn’t make much money; I was just reading the new Monk book, it talks about how, in reality, Monk never made any real money in his lifetime: The all-time genius of this music, maybe more than anybody else, made virtually nothing! Being around the musicians was of course one of the great benefits of that job. I am a fan! I remember when Lionel Hampton came in with the Golden Men of Jazz: Jimmy Woodie on bass, Pete Condoli, James Moody, Red Rodney, Benny Golson, Clark Terry, Al Grey and Harry Sweets Edison-who I became friendly with when he was in New York. It was incredible to hang out with these guys, to talk with them. I even got the guys to take pictures with me when they played the club. Steve Berman, the photographer for the Blue Note, who was a freelance photographer for The New York Times and who is now the night photo editor, and I became close; he took several pictures for me: one of my favorites is with Sweets. We’re wearing almost the same suit! I had this suit, I had been dreaming of a suit just like it, chocolate brown with chalk stripes, like a gangster suit. Then I found it. It’s a Hugo Boss suit. So, one night I was wearing it and Sweets came in wearing almost the exact same suit. Steve took our picture standing outside the dressing rooms and Sweets signed it for me. I stayed at the Blue Note the first time for about three and a half years: from the beginning of 1992 to the middle of 1995. I started to burn out. The late nights were getting to me. I mean, we were open till four a.m. Tuesday through Saturday. There was paperwork to do after closing and when that was done about a half dozen of us would go across the street to the Kettle of Fish to unwind. We’d hang out till six or seven in the morning. I’d stumble home in the daylight, get up and go to work at night, repeat the routine. Later I unwound at Bradley’s instead, with the same effect. I got to meet and hang out with some amazing people at that club after hours, both musicians and staff: Clifford Jordan used to sit at a round table by the bar; sometimes he’d just take out his saxophone and play from there. What a man, warm, a real giant. I became friendly with bartenders Bobby Shields, Joe Mosso, and John Moore and Wendy the owner, too. Anyway, I got burnt out at the Blue Note and I went to the Iridium for the first time in August 1995. The Iridium is owned by the Sturm family and I had to interview with several of them: Ronnie, the person who is most into jazz, is the youngest son; then Barbara Levine, the GM, then Ellen, who was Miss Subways of 1959-Ellen’s Stardust Diner is named for her and I met her there for the interview. I’ve always had a beard and after she offered me the job, a few days later she told me that there was a “no facial hair” policy. I explained to her that she was hiring me to run a jazz club and that everyone I knew in the business only knew me with the beard. Well, I said to myself, this is the middle of summer, It’s hot, I’m wearing a suit that is also hot all the time-I’ll trim it. At first Ellen wanted me to trim it down to stubble (like Don Johnson, she said; I remember that because she pronounced it “Dawn”), but we compromised and I got the job. The Iridium when I started there was kind of primitive-but it had only been open a couple of years. The club was downstairs, below street level. A guy sat at the door with a cigar box and an old movie theatre ticket machine. You would pay him and he would give you a ticket. That’s how they knew you paid. You could show the ticket. The club itself was computerized, so it was kind of silly to have these tickets. I finally convinced Irving, the father, to put the music charge on people’s checks. At first he was leery of the idea. “How do I know they’ll pay?” is one question he asked. “That’s what you’re paying me for,” I told him. “Before any wait person gives the check to a customer. I check the bill.” He finally acquiesced to it. The new system worked. As soon as the cover charge was on the check, the wait staff started making money in the club-tourists and most other people would tip on the whole check. The system was that the staff would rotate between the restaurant upstairs and the club; when the wait staff saw they made money in the club, they all wanted to work down there with me. 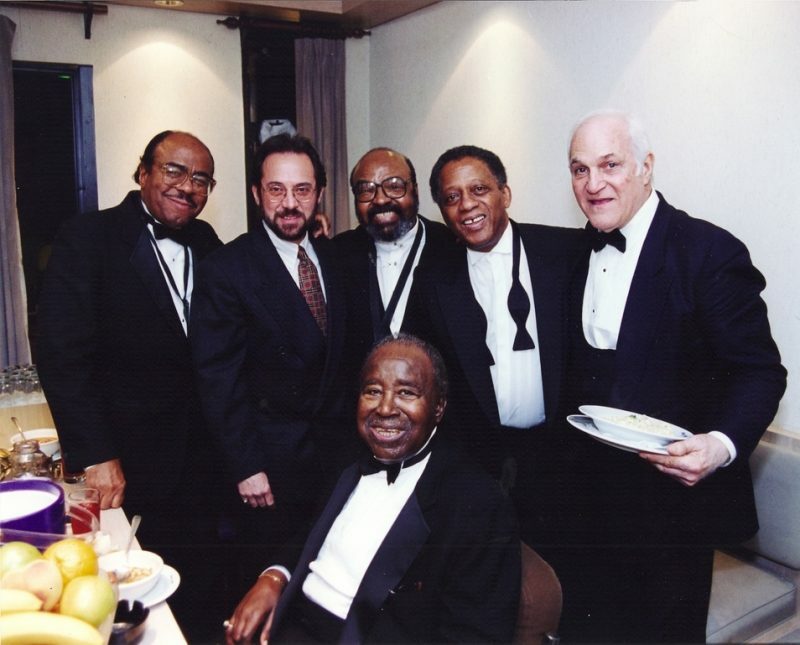 I was able to help Ronnie with the booking on one memorable occasion: In the fall of 1995 he managed to get McCoy Tyner and told me-right away, I had an idea: Michael Brecker had just made a record with McCoy, so I said, “Let’s get Michael in here with him. But, Ronnie, let me deal with it.” Of course, he didn’t-at first. He loved the idea and went to McCoy’s management with it. “They want too much money,” he was sure that was the end of it. Well, Ronnie didn’t really know all the ways to make something like that happen back then. I talked to Michael’s manager, Darryl Pitt, told him what we could pay, reminded him that Michael and McCoy had this new record, and he went to GRP. GRP made up the difference between what the artists needed and what we could pay. That’s what the labels did in those days-they knew it was good for them to have McCoy and Michael promoting their record for a week in a club in New York. That week was tremendous for the Iridium. They put in a variable cover charge: $15 early in the week, $17, midweek , and up to $20 on the weekend, and packed the room. We moved in long, banquet tables in place of the smaller round ones, and fit 152 people into the room that usually held 90. Irving, the Sturm father, was walking around saying, “This McCoy Turner is unbelievable. We’ve got to bring him back!” He didn’t know anything about the music-but he liked to see his room filled. He also didn’t know how much Michael Brecker had brought to the gig. Michael had become a big name and he hadn’t played a club since Seventh Avenue South closed in the mid 80s. With that success, the Iridium started bringing in bigger names, spending the money for them and charging more at the door to recoup, when most clubs weren’t doing that: Ahmad Jamal was the next high-profile artist, then Abby Lincoln, I think. I knew Abby from the Blue Note and she definitely remembered me. Jim Lewis, her confidante and road manager, told me after the first set. “Rich, she’s singing to you this week. You’re the familiar face here. Thank you. You really saved the gig.” What do you say to that? I was incredibly touched. The early sound system at the Iridium was pretty rinky dink, kept in a closet, and eventually they decided to invest in a new one and sent me to the New School to take a sound engineering course to learn how to operate the new board: a 16-track Mackie board. I became able to do the sound and announce from the system. Sometimes engineers would come to the club and I’d ask them to critique me so I could learn a little more. The great engineer David Baker was there sometimes for the music and he was very encouraging: ” Rich, I can hear everything, it’s all clear, not one instrument more than another, you’re doing fine .” That gave me all the confidence in the world. I mean, I had heard a lot of music and knew how the instruments should mesh, how it should sound, so that helped too. I stayed for about a year and was getting tired of it when Andy Kaufman, who I’d worked with at the Blue Note, and was at Birdland, asked me to come to Birdland and assist in the transition from 103rd Street to the new place on 44th. I checked it out while the room was being built and said, “Wow.” I mean, I’ve been to most of the major clubs in the country and I still think that this Birdland is the best setup room in the United States: a decent capacity, comfortable seating, a big bar area, and a great sound system. So I left Iridium and went to help open up Birdland. They had their own engineer, but I made the announcements and once again got to meet some great musicians and other good people. I have always liked how people in this business try to look out for each other: Freddie Hubbard was booked in Birdland with Leon Thomas, when I was there, and he couldn’t really play anymore, because of his chops. He hadn’t looked after himself; I remember when he played the Blue Note, he was drinking, he would hurt his lip by trying to hit high notes he just couldn’t do anymore. At Birdland, he had deteriorated. I remember Bill Cosby was in the audience. When he saw that Freddie was having trouble, he got up and did schtick so the people wouldn’t be bummed. Percy Heath was there too and he got up to sit in, to make it a night for everyone to enjoy and taking the heat off Freddie. That was great. I was less than a year at Birdland and got out of the jazz world for a while. 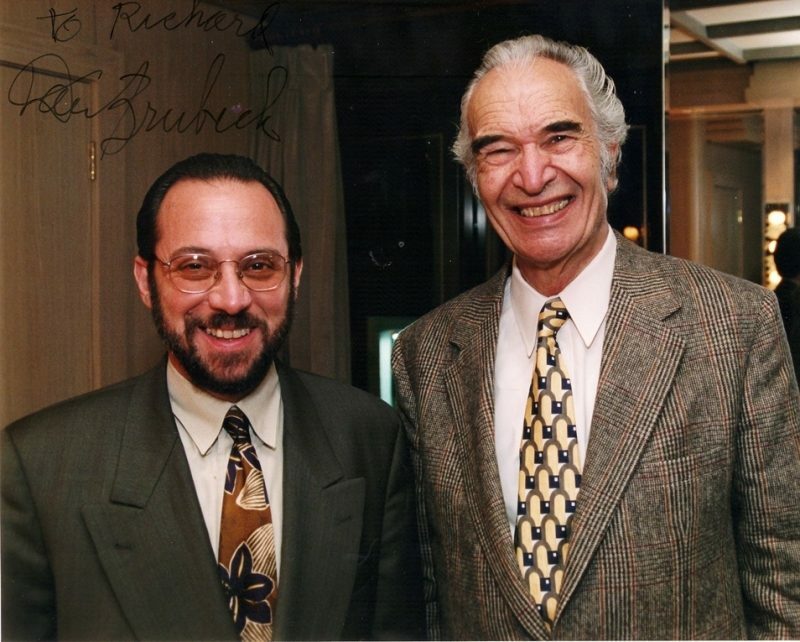 Ronnie Sturm contacted me in 2001, I’d been gone from the Iridium five years already, and offered me a job. He showed me the new space at Broadway and 50th and I helped move in. Then Tuesday, September 11th, happened. Michael Brecker was supposed to open a week there. No one knew what was going on. Michael and I were on the phone every day. On the Thursday, he said, “Ok, I’m ready to come in for the rest of the week. Let’s do it. But I’m donating everything I make to the Red Cross. “That was how generous Michael Brecker was-it was a killer few days, in the post 9/11 atmosphere. That was something. The rest of the year started out slowly, but picked up. We had McCoy with his trio, then Ahmad Jamal-he and I always got along and I enjoyed his music all week; Kenny Barron came in with Ray Drummond and Ben Riley. They did 14 sets without ever repeating a tune( that was heaven for someone listening to 8 or 10 sets). For the last two weeks of the year we were supposed to have Tommy Flanagan, a wonderful man and a great musician. I was looking forward to the booking. But Tommy passed away just before. We were stuck for Christmas and New Year’s. McCoy was available, but he had played the club not that long before. So for the second week, I put together the band from his last record, a live recording from the Vanguard: “McCoy Tyner Plays Coltrane” with George Mraz and Al Foster. Was he happy, a week with that trio. All week long he had a smile on his face, from ear to ear. “McCoy, you look happy,” I told him one night. “Yes,” he beamed. That was certainly an amazing week of music. I have a giant blowup of that album cover in my basement, signed by all three artists, to remember the gig. Now because McCoy had been in earlier, followed by Ahmad Jamal, then McCoy again for two weeks, the club had to have a Steinway piano for them. They were Steinway artists. The regular piano at the Iridium was an old beat-up Baldwin. I talked to Steinway and they agreed to just leave the piano for that six-week period instead of bringing it in, breaking it down, hauling it away, bringing it back and repeating the procedure four more times. Then it was January, and maybe in the second week, Eliane Elias was due in and she was a Steinway artist too. So I talked to people at Steinway and said, “Look. We’ll put Steinway in all of our ads, any advertising that we do, if we can keep the piano on long-term loan.” They agreed, with just one caveat: we had to have a Steinway tuner and once a year they would take it out for refurbishing-they didn’t even care that much about the ads; they just wanted the piano well taken care of. Now, a Steinway tuner costs double what the Sturms were paying their tuner, and at first that didn’t sit well with them. But I reminded Ronnie that every time they had to bring in a Steinway for an artist, it cost cartage, and cost to break down and store the Baldwin. Well, the upshot was that the Iridium was the first New York club to have a free Steinway! And almost nobody refuses to play a Steinway. George Shearing was an exception. He was a Baldwin artist and he would only play the Baldwin. Anyway, I believe that the Iridium has a Steinway to this day. I left the Iridium exactly four weeks before I was to be married-a disagreement with a new manager escalated. But I needed the time to relax and get ready for the wedding anyway; we were doing everything ourselves. So I told my fiancée, Nancy (now married nine years), this is really a blessing. I will be completely focused on getting married-stress free. I had one of the greatest weddings on the face of the earth and one of the greatest of all time bands played for it: Randy Brecker, Steve Wilson, Peter Washington, and Lewis Nash. Everybody had a crazy schedule and, amazingly, everyone agreed to do it, and wanted to do it. Peter used to joke, “I’m going to be at your wedding, even if I have to play at it.” Everything was perfect: We walked down the aisle to Joe Lovano’s “For You Only” from his Viva Caruso album-timing and tempo were exactly right for that. Everybody left the room to Ella and Duke’s “It Don’t Mean a Thing If It Ain’t Got That Swing,” which was 12 minutes long-perfect to leave by. The band set up outside, played an hour, and then Will Lee sent a limo for Randy who had to work up in Saratoga that night with Will and his father. Lewis had to run also. Peter and Steve stayed. Worse, at the same time I began to lose my voice and was eventually diagnosed with throat cancer. I gave my notice and explained why. Tzion said, “What will you do after your treatment?” I answered truthfully that I didn’t even know if there would be an “after,” but that I couldn’t go back to BB King’s. He encouraged me to call when I was ready to go back to work. “We do really need someone at the Blue Note who knows the musicians and something about the music,” he said. That was November 2005. After a grueling eight months of treatment I called him. The timing couldn’t have been better. A manager was just leaving the Blue Note and I returned in August 2006, staying until a few weeks ago, the longest I ever stayed anywhere. The staff was great. The general manager was great. I got along with everyone there, the best experience a person could have in this business. Altogether I was at the Blue Note over eight years. Finally the late nights got to me and I thought it was time to retire. They had a retirement party for me a couple of weeks ago and it brought back some memories. My very first week there, when I was trailing the head manager, I saw how he treated some foreign tourists, and I knew that I would never do that. He was explaining the policy to them, cover charge, minimum and all that, getting up really close to their faces. Still, they did not have a clue what he was saying. “What’s the matter? Don’t you speak English?” he demanded. I put my lapel over my face and faded away from that scene. Till my last day there, I always tried to say a few words in a customer’s native language, to welcome him or her to the club. If you do that, they love you. I learned that lesson my first week. 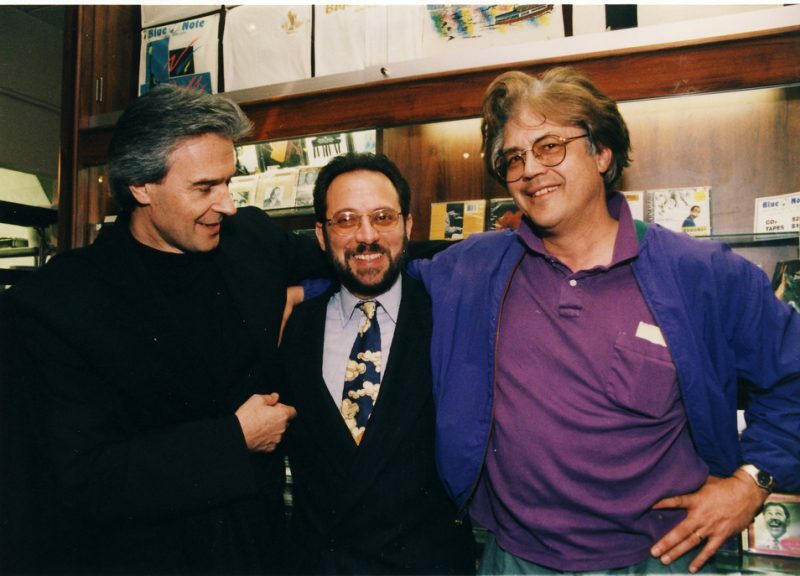 Another lesson I learned early on, actually in 1974 when I was working with Larry Coryell, is that no matter who you are when you are going into a club you have to treat that club with respect. I am always welcomed at other clubs when I go in because I have worked at many of them and because I have been in this business a long time. Alan Pepper told me after Larry played a week at the Bottom Line that the club policy was that if you’ve worked at the club, you are always welcome and will be comped. But I never pushed that perk. I would wait to be recognized and let in. I never barge in or presume. I was only turned away, incidentally, from the Bottom Line once-Carly Simon was playing and I called ahead. Alan was very apologetic. She had in her contract that there were to be absolutely no free tickets. I understood. But these days there are young musicians who do presume that they will be let in. They don’t respect the club. I don’t like that. My point of view is, if the club lets you in because you’ve played there, they are giving you something. They are honoring you. They don’t have to do it. One time I wouldn’t let some young kid in to the Iridium who had not yet paid any dues. He had been in a big band with a singer at the club. He tried to just barge in. I said, “Excuse me. There’s a music charge.” “I’ve played here,” he said. “So?” I answered. “Did they pay you?” “Well, yes.” “You played here and got paid. That doesn’t give you the right to just walk in whenever you want. First off, you could call ahead…” I still feel that way. What’s funny is that the first time I interviewed at the Blue Note one of the reasons they hesitated to give me the job is that I knew too many musicians. They thought I’d let everybody in. I’m not that way. I know you have to have paying customers! Of course, I do let in noteworthy musicians who have paid their dues whether or not they have worked the club, out of love and respect. Absolutely. One night Jimmy Heath walked in with Art Taylor. The rule was, if someone wasn’t on the comp list, we had to get a personal ok from Sal. I ran upstairs, Art hadn’t worked there…that’s one of the reasons I was valuable to the club. I knew who the musicians were and loved and knew the music, which made them feel comfortable. Another time, I was just hanging at the club. I wasn’t working. Billy Higgins and Julian Priester walked in. The kid at the door had no idea who they were. I quietly let him know that Billy Higgins had played on more Blue Note records than any other drummer and who Julian was and he let them in. Again, if I hadn’t been there, those great musicians would have been insulted. Rumors would fly that the club is unfriendly to musicians. For myself, I feel privileged that wherever I go now, I am welcomed. 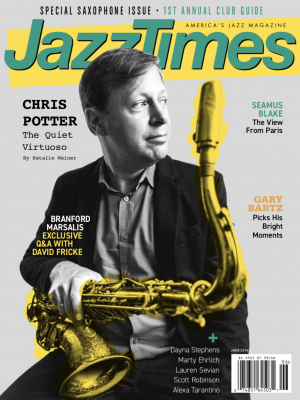 I have been doing this for a long time, and it is a great feeling to know that I have contributed something to the jazz world and to be recognized for it. I’m not sure what I will do next-I’d still like to contribute in some way.